Montgomery County, TN – The Montgomery County Veterans Service Organization is hosting its annual Memorial Day Ceremony at 10:00am, May 30th, at the William O. Beach Civic Hall, Clarksville. City and county officials, as well as MCVSO staff will give remarks, with the keynote address given by LTC (Retired) Norman “Greg” Lane, US Army Reserve, who currently serves as the Cadet Success Coordinator, Department of Military Science, Austin Peay State University ROTC. 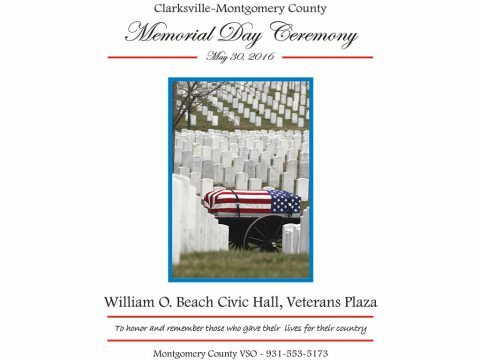 Musical selections will be presented by Stella McKnight and the Carnival Choir from Clarksville High School, with posting of the colors by the 101st Airborne Division Honor Guard. Area Veterans Service Organizations will conduct a wreath- laying ceremony. The William O. 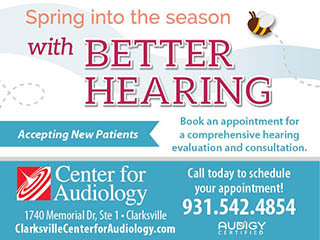 Beach Civic Hall is located in Veterans Plaza, 350 Pageant Lane, Clarksville.